How do I enable Amplifier to handle my Customer Service? To connect your customers with Amplifier's support resources, just embed the Customer Service Tool into your Order Source's support page. Click "Settings" under the Gear Icon. Click the "Customer Service Tool" sub-menu. Find your order source and copy the related iframe code. 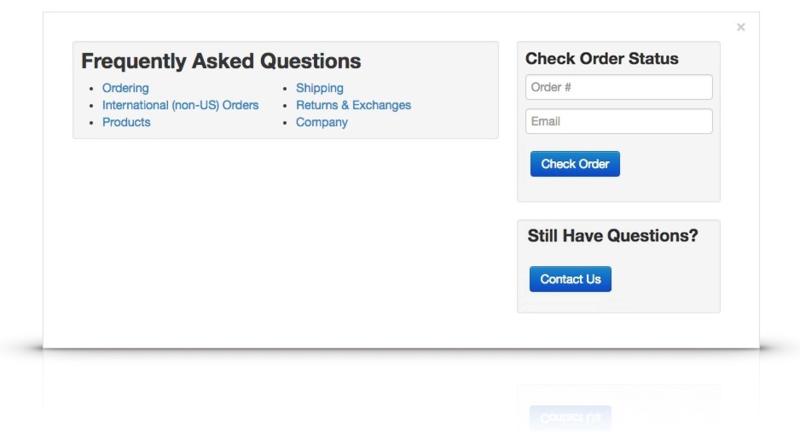 Embed the provided iframe code on your order source's support page. Preview the Support Center by Clicking the Preview Button. 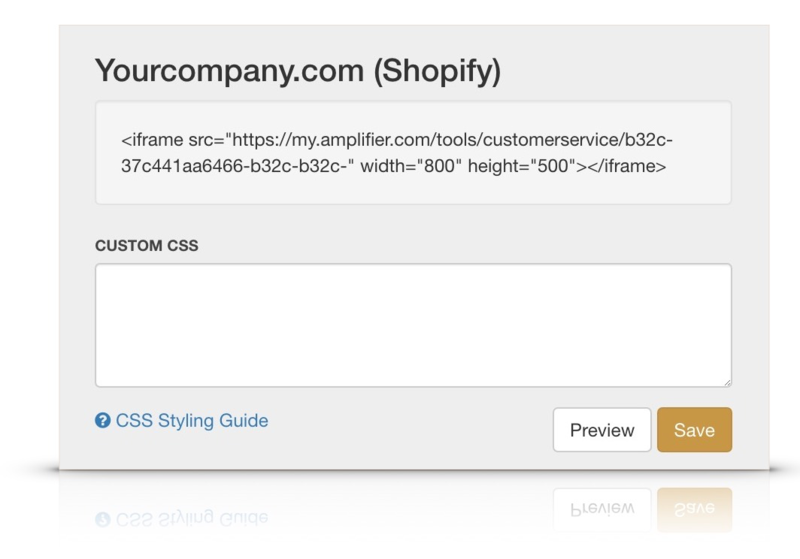 You can customize the style of the tool with the Custom CSS field below the corresponding iframe code. Reference the provided CSS Styling Guide as needed. If the content of the FAQ needs to be modified, reach out to Amplifier's client service team for assistance.